Colin Blakely, Art Dept. Head, Eastern Michigan University, and Steve Brown, Executive Director of the Oliver Art Center, will recount current achievements and outreach programs in Michigan art education. 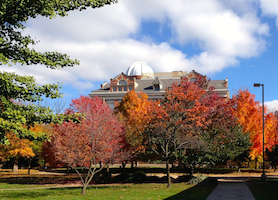 Our returning guest will be Carole McNamara, Senior Curator Emeritus of the University of Michigan Museum of Art. 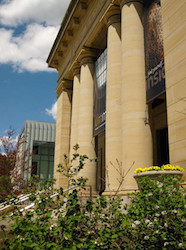 We will highlight Carole’s distinguished career with the UMMA and several of her stunning exhibitions, including The Lens of Impressionism; Benjamin West: General Wolfe and the Art of Empire; and Photographs of Colonial India and Egypt. We’ll also get an on-air peek of an important Renaissance piece just acquired for the collection. 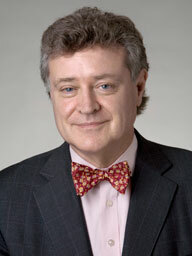 Ed will welcome back DIA Director Graham Beal, who will spotlight the new exhibition, Diego Rivera and Frida Kahlo in Detroit, as well as Museum history and news. 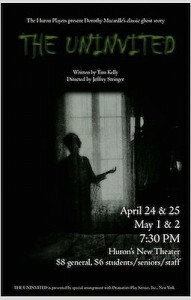 Ed’s guest is Ann Arbor Huron High School teacher Jeffrey Stringer, who is directing The Huron Players in a beautiful, mood-filled production of The Uninvited. Based on Dorothy Macardle’s novel Uneasy Freehold, and filmed in 1944 with the new title (starring Ray Milland, U of M School of Drama alum Ruth Hussey, and newcomer Gail Russell), the film is considered a supernatural-thriller genre milestone. That Huron High School students would choose this story over the usual dramatic fare is a bold statement, indeed, and perhaps a harbinger of great things to come! 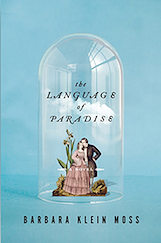 We’ll be joined by author Barbara Klein Moss, who will describe her lyrical novel, The Language of Paradise, published by W.W. Norton. Taking place in mid twentieth-century Massachusetts, the cradle of Transcendentalism, the story illuminates the lives of three people – a married couple and their mercurial friend – who seek to create a pure world, a new Eden, for themselves and a child. 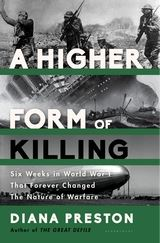 Eminent historian Diana Preston will introduce her new book, A Higher Form of Killing, published by Bloomsbury Press, about events on the battlefield (use of poison gas), the high seas (the Lusitaniasinking and unrestricted submarine attacks) and home front (Zeppelin bombings of cities and towns) in the spring of 1915 that changed warfare forever.